Against dandruff. Improves hair structure and gives the hair vitality. 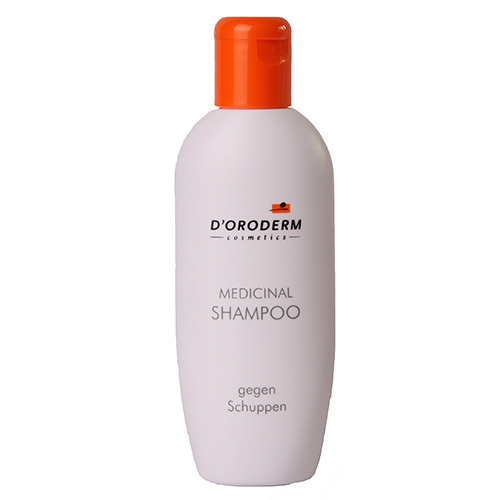 A dermatologist’s weapon against dandruff, sensitive scalp and initial signs of hair loss. The special anti-dandruff ingredient climbazol prevents dandruff from recurring, while panthenol calms sensitive scalps, improves hair structure and gives the hair vitality and a silky gloss. Ideal for daily shampooing. Ingredients: Aqua (Water), Sodium Laureth Sulfate, Cocamidopropyl Betaine, Decyl Glucoside, Sodium Chloride, Propylene Glycol, Alcohol Denat., Climbazole, Glycerin, Panthenol, Humulus Lupulus (Hops) Cone Extract, Aesculus Hippocastanum (Horse Chestnut) Seed Extract, Panax Ginseng Root Extract, Chamomilla Recutita (Matricaria) Flower Extract, Polyquaternium-7, Parfum (Fragrance), Sodium Benzoate, Potassium Sorbate, Citric Acid, Alpha−Isomethyl Ionone, Amyl Cinnamal, Benzyl Salicylate, Citronellol, Geraniol, Hydroxyisohexyl 3− Cyclohexene Carboxaldehyde, Isoeugenol, Limonene, Lactic Acid, Lactose, Silica.